The Coffee Trade, A Special Blog for Christmas! STILL the ABSOLUTE BEST Coffee in the WHOLE AREA!!! 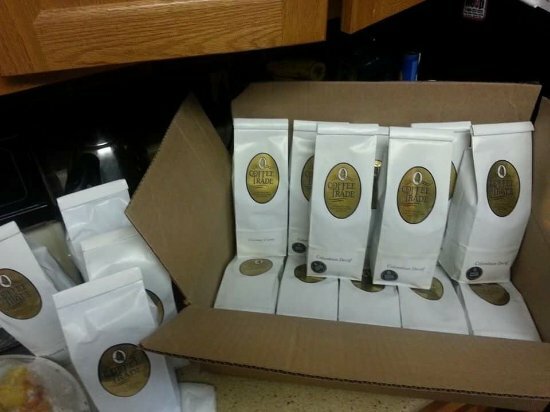 We regularly purchase gourmet coffee for consumption at home. It is very fresh and a real treat for coffee lovers. Also based on per pound prices it is similar or a bit more than Starbucks. Over last five years have noticed a general decline by sales staff at the Coffee Trade, especially if you are only buying a small coffee. Smiles and "thank you" statements by sales staff are few and far between. A Little Sip of Heaven, and then some! The Best Coffee House In The Area!! My family has been coming here since I was little, and it is still the best coffee in Avon. The owners are always so friendly, and the shop is very cozy. A great place to find unique gifts or to just stop for coffee. Get quick answers from The Coffee Trade staff and past visitors.